What are the best places in the world to see snakes? 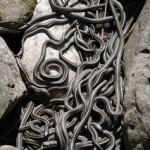 Lonely Planet names 10 snake watching sites, with Manitoba on top. Great list, but misses some possibilities like the Everglades, South of the Border or Pentecostal churches. Keep reading What are the best places in the world to see snakes?